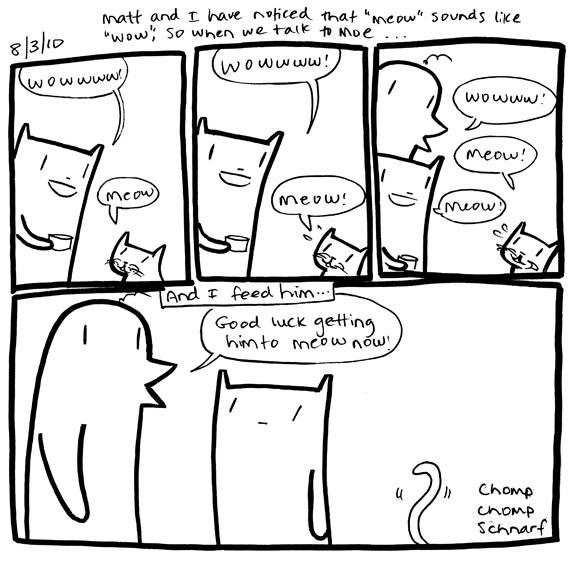 Squarecat Comics » Archive » Wowwww! Meow! Moe knows it’s not polite to meow with your mouth full… schnarf! heh heh, he so does! He might be a cat douche, but he does know about common courtesy!